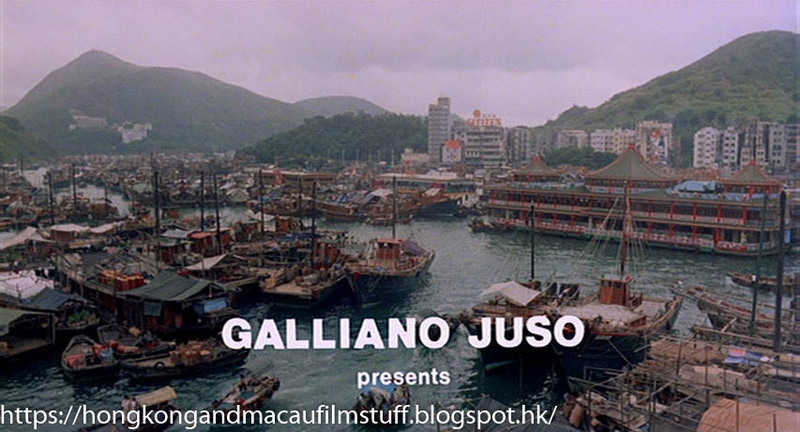 The Heroin Busters (Italian name: La via della droga) is an Italian crime film starring Fabio Testi. Testi seems to be an appropriate name for this former stuntman because he really chucks himself around in this film, it's a solid action film. 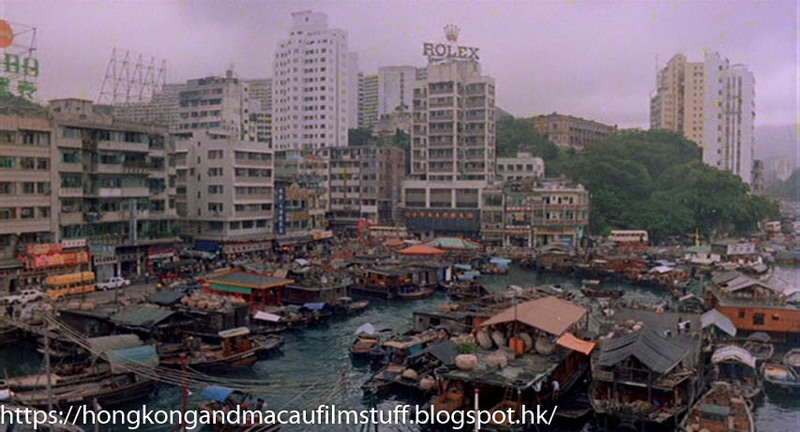 He plays an undercover cop infiltrating an international drug ring and so the film has various scenes shot at various locations around the world. 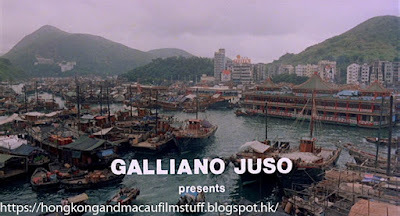 Hong Kong plays a brief role at the beginning as Testi wanders around the streets picking up bags of heroin to smuggle back to Italy. 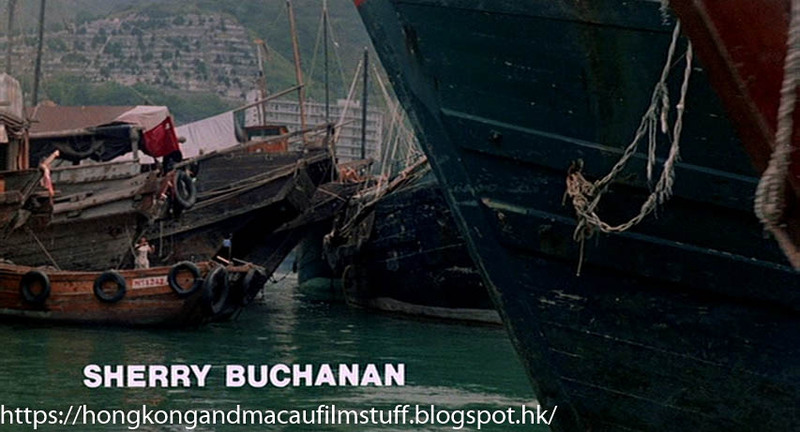 One of the locations of his pickups is a boat in Aberdeen Harbour. 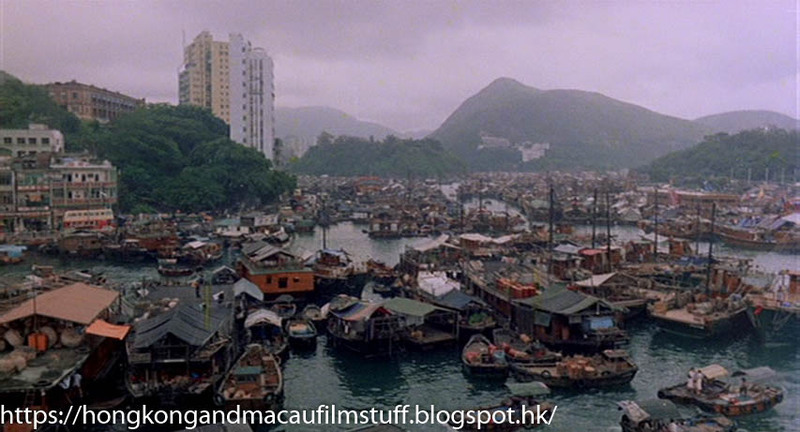 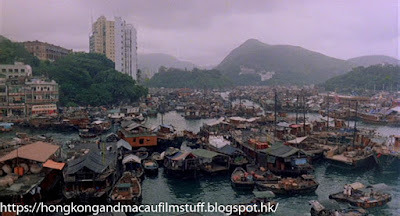 The first view is a nice panning shot that shows the old waterfront on the left and the Tai Pak on the right. 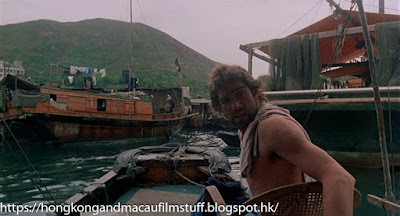 But we get a few of those boat level views that film makers used to love sticking into their films.